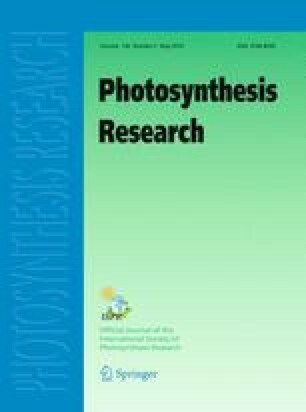 High energy state quenching of chlorophyll fluorescence (qE) is inhibited by low concentrations of the inhibitor antimycin A in intact and osmotically shocked chloroplasts isolated from spinach and pea plants. This inhibition is independent of any effect upon ΔpH (as measured by 9-aminoacridine fluorescence quenching). A dual control of qE formation, by ΔpH and the redox state of an unidentified chloroplast component, is implied. Results are discussed in terms of a role for qE in the dissipation of excess excitation energy within photosystem II.